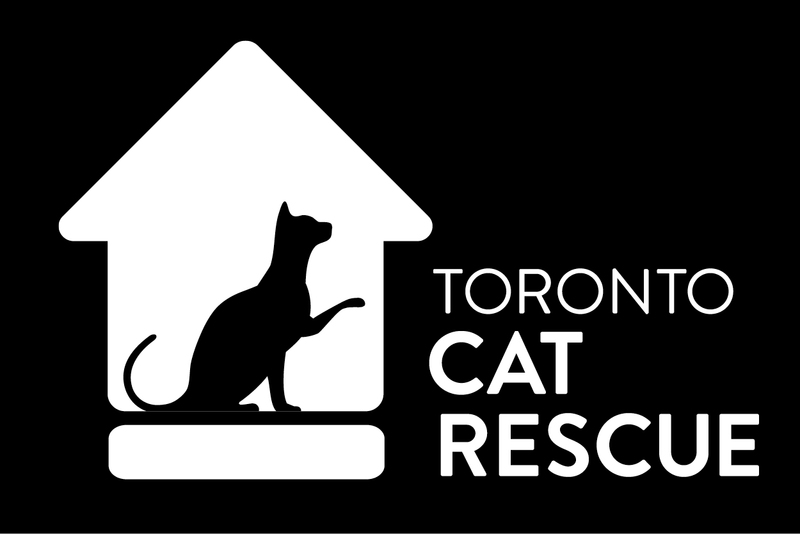 Toronto Cat Rescue’s Board of Directors is nominated by the existing members based on qualifications, skill, knowledge of the organization, and commitment level. Sarah’s passion for the environment and animals started from a very young age. This has guided her throughout her life and she has always wanted to be a leader and change-maker. A TCR volunteer since 2007, Sarah also works professionally within the charitable sector as a fundraiser and brings her fundraising experience and knowledge to the Board. Sarah completed her undergraduate degree in Environmental Studies at York University, and has a post-graduate certificate in Fundraising Management from Humber College. Kyra has been volunteering with TCR since 2006 and has had a variety of roles throughout that time. Kyra completed a Masters degree in International Relations at McMaster University. Since 2006, Kyra has worked for the Government of Ontario in a variety of increasingly senior roles, most recently as a program supervisor. A resident of Hamilton, Kyra has a rescue cat and dog, and she enjoys playing softball, running, reading, and traveling in her spare time. Kevin has been a volunteer foster since 2016 after finding an injured and pregnant cat in his backyard. Seven kittens later, Kevin and his wife decided to continue fostering through Toronto Cat Rescue. Kevin has a Bachelor of Commerce from Athabasca University and is the Controller for a management consulting company in Toronto. Kevin’s background in financial planning and analysis will help build the organizations controls and financial reporting. In his spare time, Kevin enjoys traveling as well as spending time with his six cats. Arlene has been a volunteer with TCR since 2011, initially as a foster mom, and now as a driver, store volunteer and store adopt-a-thon team lead. Prior to volunteering with TCR, Arlene owned four beautiful cats Sou-ke, Aztec, Tatia and Chinook; SATCH, the bronze cat represents the special memories of each one. With a degree in mathematics and a MBA, Arlene worked at IBM in both strategic, operational and process planning and business development. Recently retired, Arlene enjoys traveling, playing the harp, socializing, continuous education, and being a Board member at her Etobicoke condo. Mike moved to Toronto from London, Ontario in 2007 where he graduated with a degree in Actuarial Science and Statistics from the University of Western Ontario. He works professionally as an actuary with the corporate development/strategy group at a large Canadian life insurance company. With encouragement from his wife, he recently decided to put his knowledge of finance and business to use in the non-profit space and joined the TCR board in 2017. In his spare time, Mike enjoys spending time with his wife and newborn son. Suzanne is passionate about animals and about the work that Toronto Cat Rescue does. She has adopted three of her four cats from TCR over the past seven years and has been a volunteer screener at TCR adopt-a-thon events for two years. Suzanne is a business and accounting professional who holds a CPA (Delaware U.S.) designation, a CPA, CGA designation, and a BA in Marketing. She has over 20 years of experience at an executive or management level in both the private and not-for profit sectors. Currently Suzanne is the Director of Finance for a small registered charity that does work both nationally and internationally supporting the Public Sector. Previously, Suzanne held progressively senior financial leadership roles at organizations in the film and television, automotive, construction, aerospace and advertising industries. Belinda recently moved into an old school house in Beamsville, Ontario right in the middle of wine country! She has 25 years of senior leadership experience in academia, nonprofits and charity. Her educational background includes a business degree from Concordia, and a postgraduate certificate in Strategic Human Resources Management from the School of Policy Studies at Queen’s University. A few years ago, Belinda worked in operations at the Kingston Humane Society for about six months where her awareness of the plight of homeless cats and complexity of animal rescue grew. Belinda is mom to two amazing sons, and cat mom to Edna and Katie her foster fails. Nalini has been an animal lover from the time she was 5 years old in South America, and her grandmother brought home the family’s first puppy. She has volunteered in all areas of TCR since early 2010, passionately advocating for the cats. Of all the many TCR volunteer roles she has held, being the Intake Coordinator has been the most rewarding because it is a position that directly impacts the large number of lives TCR saves each year. Nalini has a Business Management Certificate from Ryerson University and plans to pursue further education in Animal Welfare. Her prior career included Sales, Business and Operations Manager in the manufacturing sector for over 10 years. She currently lives with her senior cat, Koala. Her downtime is surrounding herself in the enchantment of the Northern Ontario woods, with her two beagles in tow. Her other hobbies include reading, writing and dancing.